Mr. Rooter Plumbing offers professional full plumbing services in Windsor. Serving residential and commercial customers, the Windsor plumbing company also has multiple offices across the country. Mr. Rooter Plumbing products and services include: complete drain & sewer service, maintenance products, video camera inspection, plumbing checkup, and HydroScrub services. Mr. Rooter Plumbing plumbers are available 24/7. Products Carried: At Mr. Rooter Plumbing, residential and commercial customers in Windsor are provided with full plumbing services. 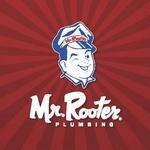 Mr. Rooter Plumbing provides offers quality plumbing services and products combined with honesty. From maintenance products to plumbing check ups to complete drain and sewer service, Mr. Rooter plumbers get the job done right the first time.. Their expert plumbing services include 24/7 availability, immediate response, and no overtime charge.